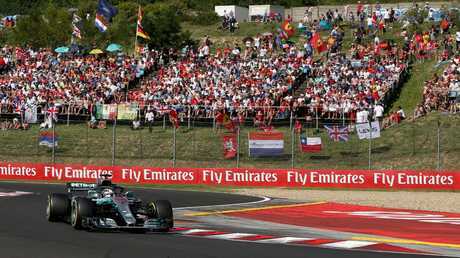 Vettel who was runner-up, 17.1 seconds behind, also survived a late collision with Hamilton's teammate Valtteri Bottas on a dry and sweltering afternoon at the Hungaroring outside Budapest on Sunday. Daniel Ricciardo took his Red Bull from 12th to 4th spot in a superb drive. 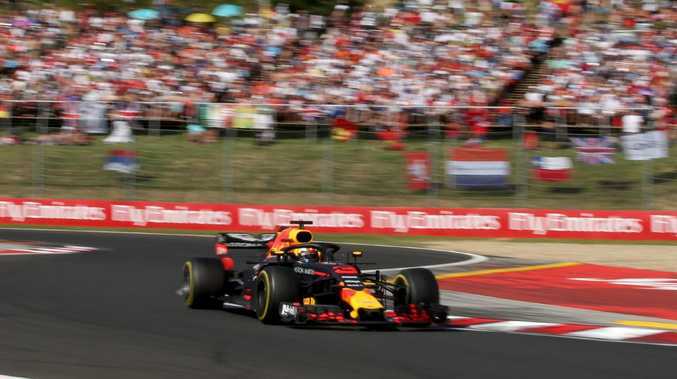 Ricciardo was trying to pass fourth-placed Bottas on the second last lap when the Mercedes driver locked up and understeered into the side of the Australian's car. 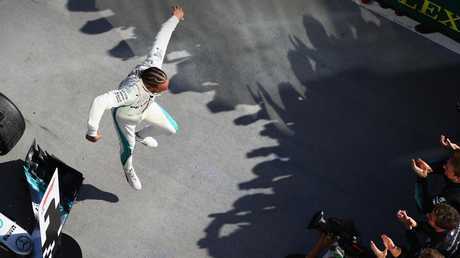 After 12 races, Hamilton has 213 points to Vettel's 189, while Ricciardo is on 118. 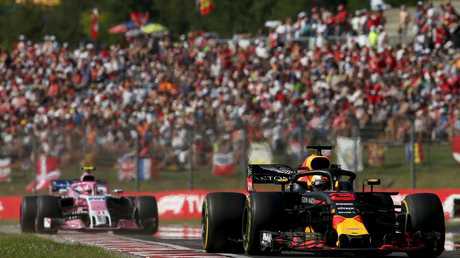 The Australian's Dutch teammate Max Verstappen retired early on with a Renault engine failure that infuriated both driver and Red Bull team boss Christian Horner. Verstappen was so upset that his immediate reaction after pulling his car to a halt was incomprehensible on the team radio, broadcast worldwide by the main television feed, because all the foul language was 'bleeped' out. Later, he said it was a pity that it was not heard and understood because it would "have been better". "For Danny and me, it is just not at all how it should be," he told reporters. 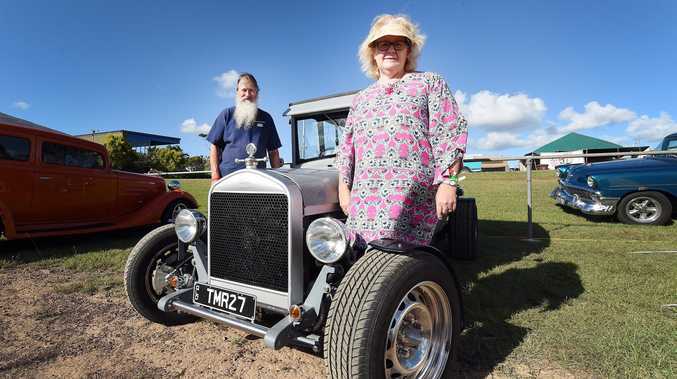 "You pay millions for what you hope is a decent engine, but it keeps breaking down. "We were also the slowest out there. It was difficult to accept and I was very upset over the radio. I'm disappointed, the team is disappointed and the fans are disappointed. 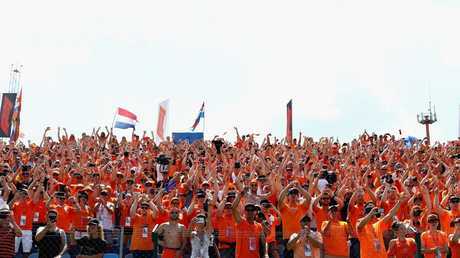 "They came all this way and only see you do five or six laps," he added referring to the massed 'orange army' of Dutch fans at the Hungaroring. "I was 25 seconds clear of Daniel because of our starting positions and I felt ok so we could have easily been fifth - that is valuable points thrown away." Wished a good summer holiday, he responded: "At the moment, I don't really care. I hate it when people say 'bad luck and enjoy your holiday'. For the first week, I won't enjoy it because of my last race. "I don't feel like I'm in the holiday mood."